Black 330mm Magnetic tool rack (300mm magnetic strip). A hard sturdy plastic base with two very strong magnetic strips to hold all of your tools to make your workshop/ garage that little be cleaner and more organised. 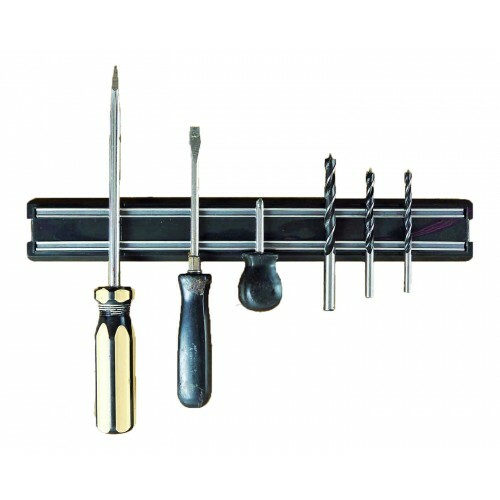 The tool rack comes with screws and brackets for simple application.